Who Can Be Sued After A Car Accident? What Parties Can An Injury Victim Sue After A Car Accident? In 2016 more than 324,000 traffic collisions were reported in our state, and more than 93,000 injuries were reportedly sustained in those crashes. What are your rights if you are injured by a negligent driver in his state? Will you need to – or be able to – take legal action? Can you be reimbursed for your medical expenses and lost wages? Can a Chicago car accident lawyer help? WHAT’S YOUR TOP PRIORITY AFTER A TRAFFIC ACCIDENT? If you are injured in a traffic accident, you’re going to have plenty of questions regarding your legal rights and options, but your first and most immediate priority will be seeking medical treatment. After you’ve been examined and treated by a doctor or another healthcare professional, your next priority will be to discuss your accident, injuries, rights, and options with a qualified personal injury attorney. A personal injury lawyer will begin an immediate investigation of your accident and injury. After you’ve been injured, it is imperative to contact an accident attorney as rapidly as possible, while the evidence and the memories of the witnesses are still fresh. WHAT QUESTIONS WILL AN AUTO ACCIDENT ATTORNEY SEEK TO ANSWER? What was the cause of the traffic accident? Were your injuries caused directly by the collision – and by another driver’s negligence? Do you have pre-existing injuries? Will the medical tests and records support your claim? Which party is liable? In some traffic accidents in Illinois, the motorists will both be partially liable. What coverage is applicable? An experienced accident attorney will search through each insurance policy that may apply and will identify all of the possible sources of compensation. WHAT IF A NEGLIGENT DRIVER IS NOT THE VEHICLE’S OWNER? If the driver who injured you was not, in fact, the owner of the vehicle that he or she was driving – but was borrowing the vehicle as a friend, neighbor, family member, or co-worker of the vehicle’s owner, for example – insurance for the crash will probably be from on the vehicle’s owner first and then the drivers. For vehicle owners in this state, what is crucial to understand is that when a neighbor or a family member uses your vehicle, that person is also using your auto insurance. Most auto insurance coverage is for specific vehicles, so a policy typically “follows” the vehicle instead of the driver. A vehicle’s owner may be held liable and sued for loaning the vehicle to an unlicensed driver or to an intoxicated or impaired motorist who causes a collision. However, if someone steals a vehicle and injures someone else with it, the owner will not be held liable. WHAT IF A NEGLIGENT DRIVER DROVE AN EMPLOYER’S VEHICLE? In cases where the driver who injured you was driving his or her employer’s vehicle and was “on the clock” when the accident occurred, that driver’s employer may have liability. That is because the law in Illinois makes employers responsible for an employee’s negligence, including negligent driving, when the negligence occurs while an employee is acting within the “course and scope” of his or her job duties. For instance, if an employee is “on the clock” and causes a collision while operating a company vehicle, the employer may be held liable for a victim’s injuries and other damages. Each case is different, of course, so an injury victim must have a good accident attorney’s advice and insights. WHAT IF A DEFECTIVE VEHICLE OR PART CAUSED AN ACCIDENT? If your personal injury attorney’s accident investigation determines that you were injured because one of the vehicles – or a vehicle part – was defective, the manufacturer of the vehicle or vehicle part may have liability. Millions of vehicles in the U.S. – record numbers – have been recalled for defects in the last several years. Motorists and passengers in Illinois have been injured by defective airbags, faulty door latches, bad tires, and defective ignitions switches. If you are injured in an accident that involves a vehicle defect or a vehicle part defect – or if you’re not sure – speak to an Illinois accident attorney as swiftly as possible. It may not matter if the vehicle was or wasn’t officially recalled, and it may not matter if the defective part or vehicle was yours or the other motorist’s. CAN YOU FILE A PRODUCT LIABILITY CLAIM AFTER A CAR CRASH? If you have been injured in an accident that involves any vehicle or part defect, you may be able to file a product liability claim. Your accident attorney can investigate to determine if a vehicle or parts manufacturer or dealer can be sued for your medical expenses and lost wages. Product liability lawsuits against auto manufacturers or parts manufacturers must be managed somewhat differently than “simple” personal injury claims. In these cases, you will need to be represented by a lawyer who has considerable experience handling product liability claims. 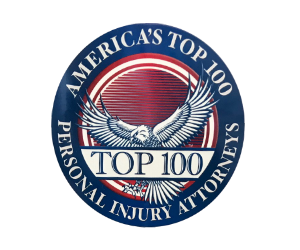 HOW CAN A CHICAGO PERSONAL INJURY LAW FIRM HELP YOU? If you are injured in a traffic collision, an experienced personal injury attorney can also determine all of the potential sources of compensation that may be available in your case. After you’ve been treated by a doctor or another healthcare professional, arrange immediately to have a discussion with an experienced personal injury lawyer about your rights, your options, and your potential sources of compensation. After you’ve been injured by negligence, a good lawyer’s help is your right, and in fact, your future could depend on it.